Jaipur was the least planned location of the trip and we had asked the hotel to arrange something for us. 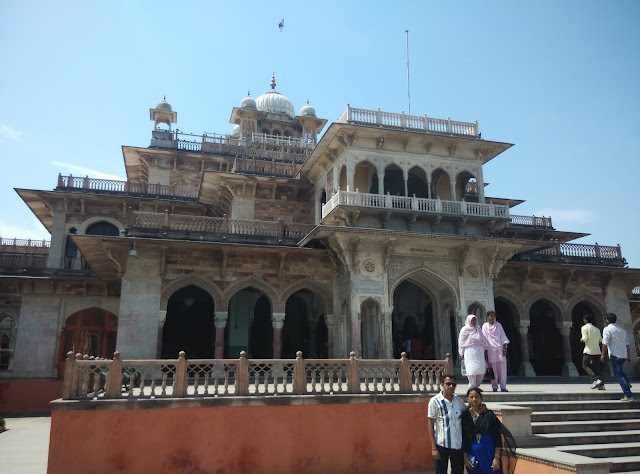 We arrived in Jaipur at 8am on a Saturday morning from Haridwar by train and checked into our hotel. Unlike the rest of the trip, Jaipur was really really hot and sunny. 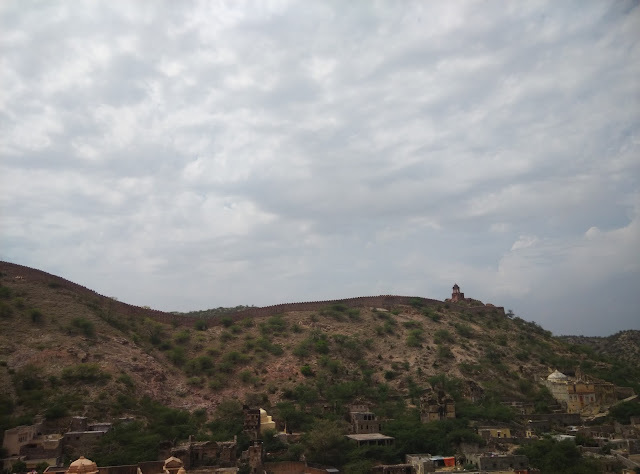 Everything in the city can be covered in one day but in case you want to visit all the forts around Jaipur, you can extend to two days. The heat was already driving us crazy so we opted for the one day quick city tour. 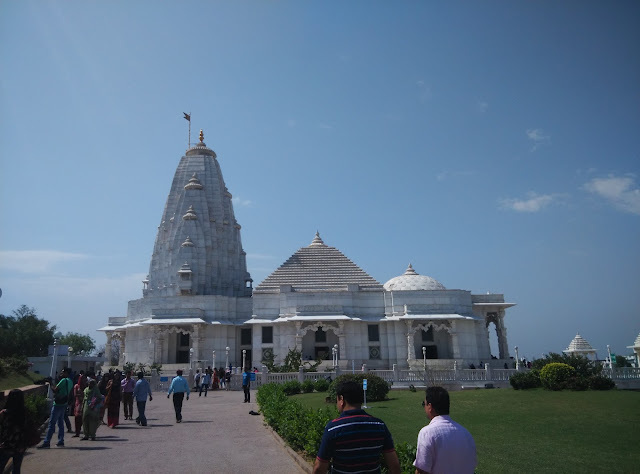 The tour started with the visit to the Birla Mandir. The temple was made entirely of marble. It was more like Iskon (Bangalore) where it was more touristy than actual place of worship. The next location was the City Palace & Museum. City palace still hosts the royal family so only a part of the palace is allowed for tourists. The entry fees is high to the palace. You could also visit the museum which is near the palace. Though Jaipur is called the pink city, there is an actual place called the pink city in Jaipur. You enter this through a small gate and it looks like a gated community with compound wall made of pink stones. 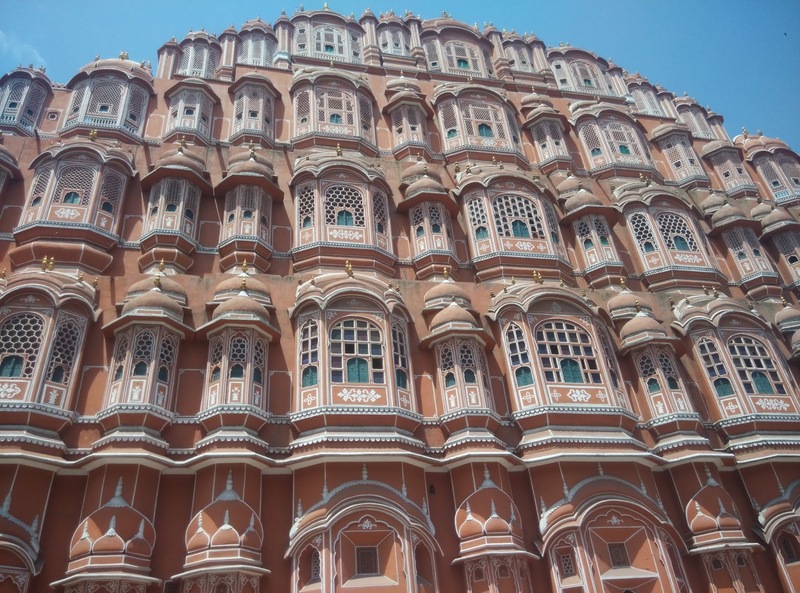 As you enter pink city you pass by the Hawa Mahal. 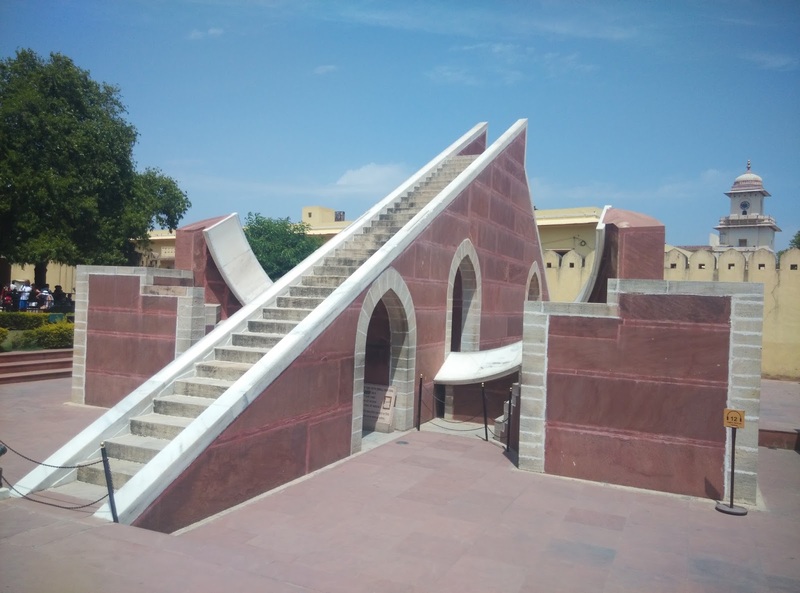 Jantar Mantar is inside the pink city. 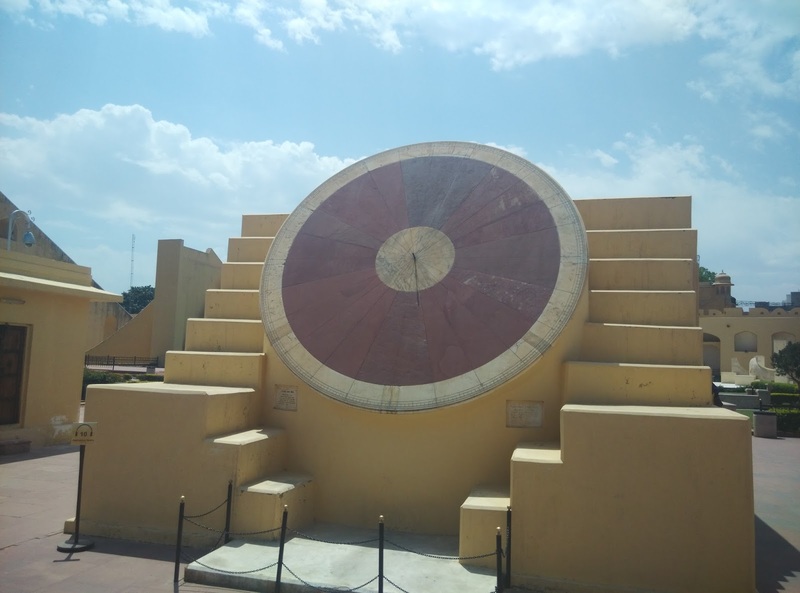 The place which symbolizes India’s advancement in astronomy. Get a guide to explain how time is calculated using shadows and also understand the various instruments and structures to spot stars. We then visited the RTDC where the tour takes a break for shopping. You will get a demo of the art work and cloth colouring with naturally created colours. 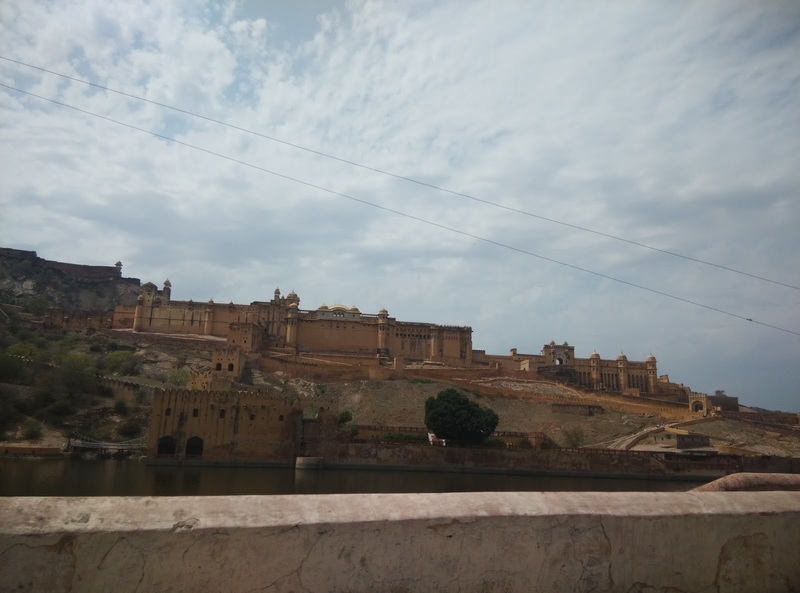 It was almost evening and we head out to Amer Fort. 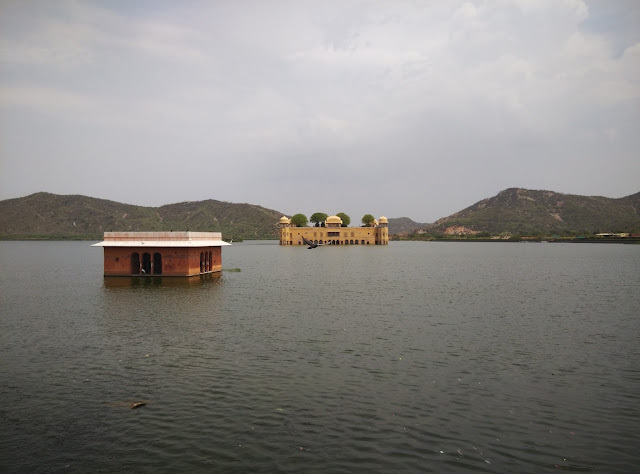 On the way you will get to see Jal Mahal. 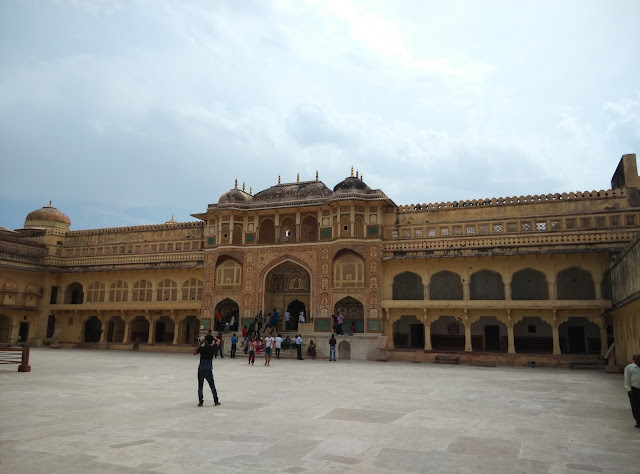 On day 2 of our trip we had visited Akbar’s palace in Fatehpur Sikri and here we were in Amer Fort, the house of Jodha. Going through the entire fort will take roughly 2 hours. The guides here will make history sound interesting. 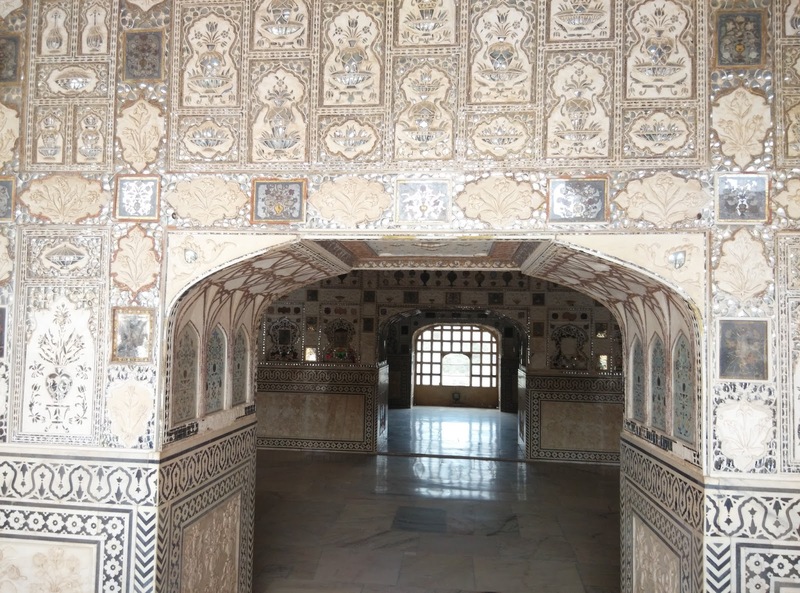 There is Jaipur night tour that you can opt for. 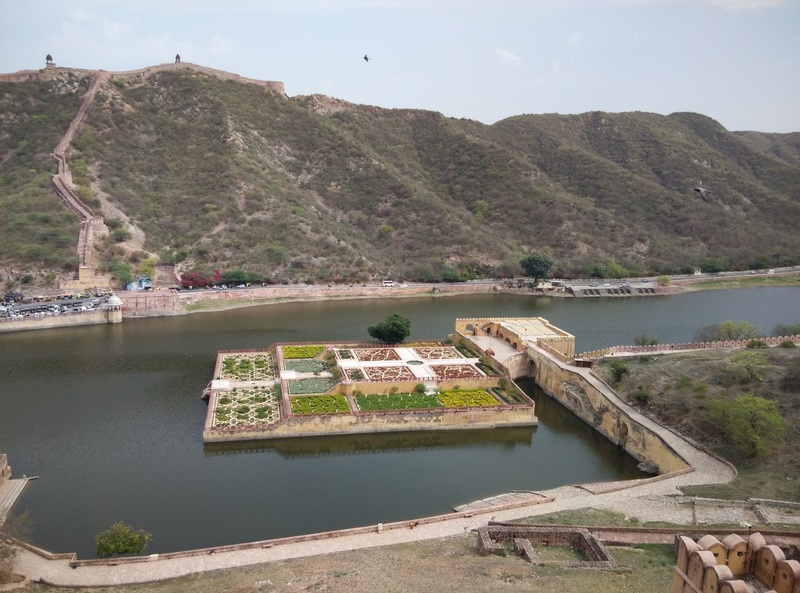 This has the Amer fort for the night view and the lights and music show at Jantar Mantar. We however were too tired and dehydrated to do this (sigh). We went out to buy local sweets and snacks to carry back home. We bought loads of Agra Petha ( I know not Jaipur special but we had not bought it earlier from Agra) which was pretty awesome. 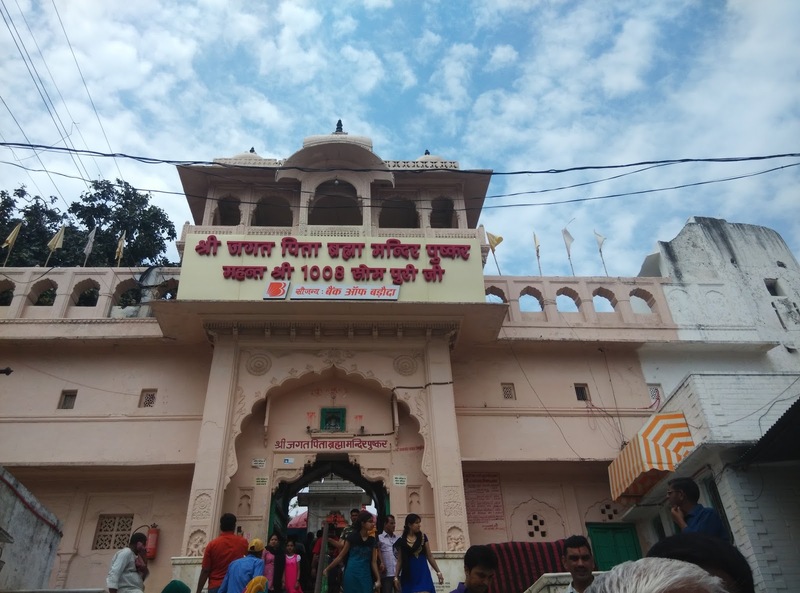 For next day we did not have anything planned, so we asked the hotel to get us a cab to goto Pushkar to visit the only Brahma Temple. Pushkar is 150kms from Jaipur and takes roughly 3 hours one way. The roads are good all the way. 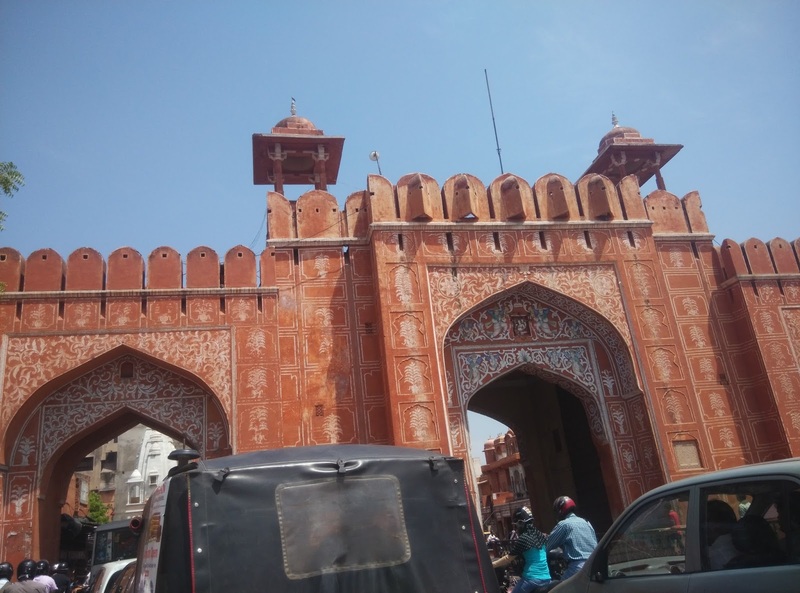 You get Ajmer on the way which is famous for the darga. 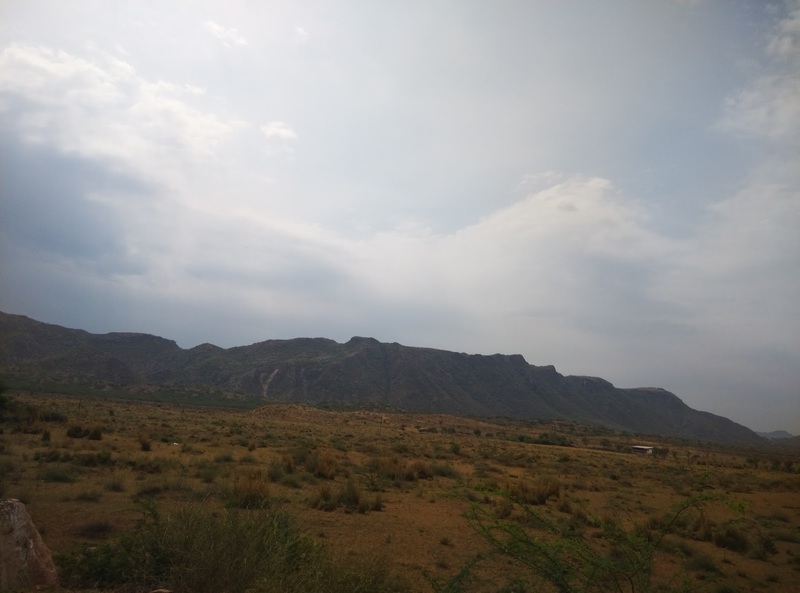 We decided to head out to Pushkar first. The first signs of the Rajasthan Desert can be seen as you approach Pushkar. In Pushkar you will not need a guide. 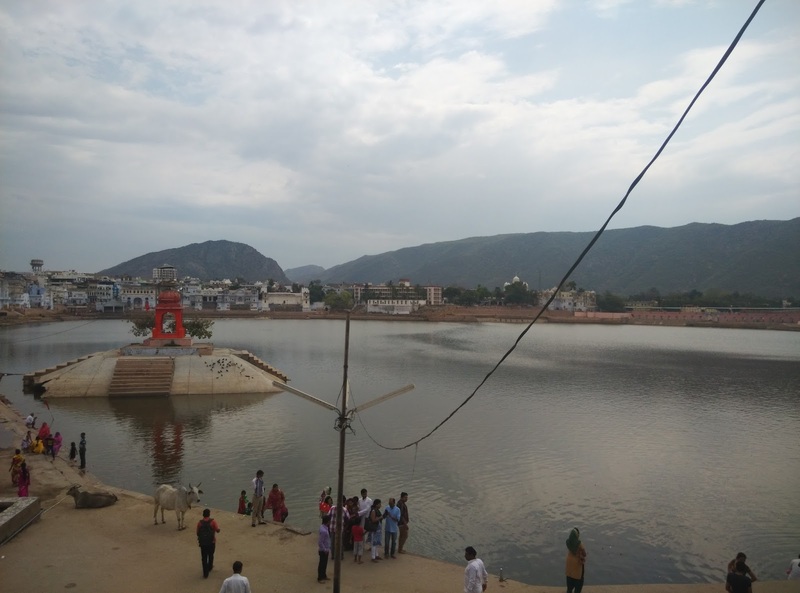 You can visit the Pushkar lake and the temple which will take you roughly 30mins. 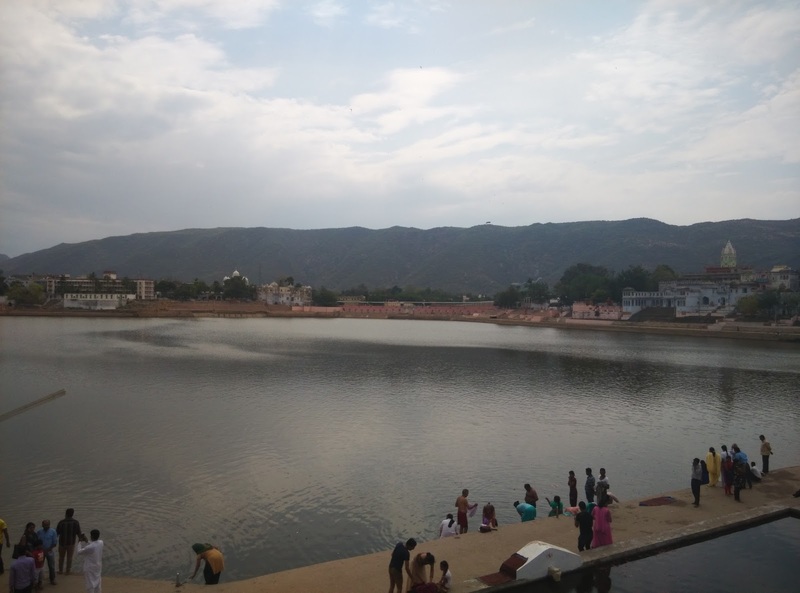 If you have lost someone close to you then you can give tarpan to them near the lake. Depending on your budget you can choose between 500rps to 5k but the catch is they will not tell you about it till you are done with the pooja. While I am not against the donations, I feel for such poojas the donations should be voluntary and not forced upon. We were supposed to visit Ajmer Darga on the way but there was some local event going on. So our driver advised us to skip the place and looking at the crowd, even we chose to head to airport for our return flight. We ended up waiting in the airport for 4hrs because we cancelled Ajmer and head back early. I asked about Jaipur on twitter and my friend Prem helped me get a local contact who told me that its possible to cover everything in a day and advised me on Pushkar. You can also check out the #rocur account @We_Are_Jaipur who would give up to date information.